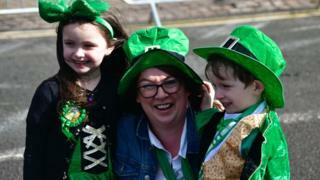 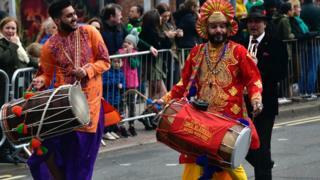 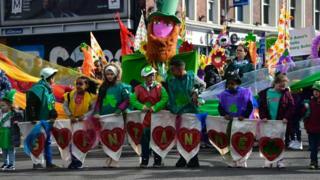 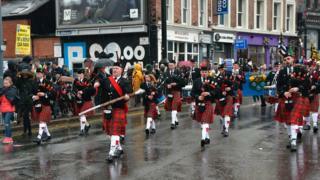 Hundreds of thousands of people have taken part in St Patrick’s Day celebrations across England. 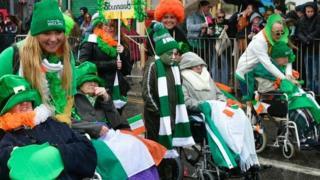 Crowds decked in green, waving shamrocks and the Irish tricolour packed London’s Trafalgar Square. 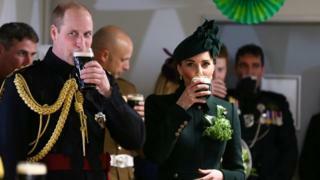 The Duke and Duchess of Cambridge attended the Irish Guards’ St Patrick’s Day Parade in Cavalry Barracks, Hounslow. 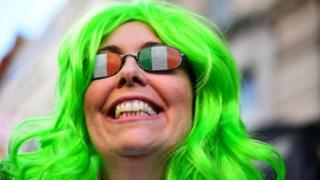 The Mayor of London’s office organises the festival in the capital to bring the “best of Irish culture and a packed programme of great entertainment to Trafalgar Square”. 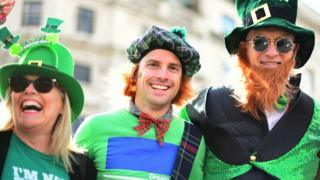 An official St Patrick’s Day event has been held in London since 2002. 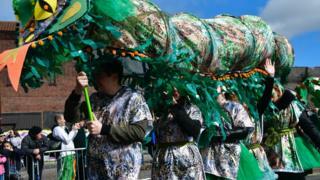 “Throughout the years we have been subjected to all weathers, getting sunburn one year and coming close to frostbite the next,” said Gerry Jones from Off Our Trolly Arts, which is part of the festival.